DUBLIN (AP) Ireland No. 8 Jamie Heaslip announced his retirement from rugby with immediate effect on Monday after nearly a year out of the international game with a back injury. 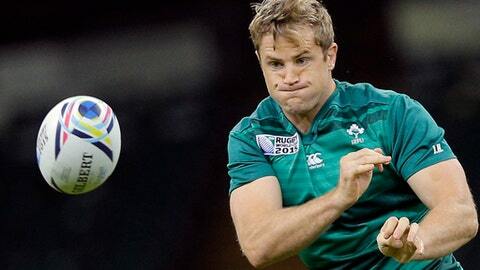 The 34-year-old Heaslip, who played 95 tests and captained his country 13 times, has not played for Ireland since suffering a back problem 11 months ago during the warmup of the team’s final game of last year’s Six Nations, against England. He underwent a second operation on the injury in November. Heaslip won three Six Nations titles, including a Grand Slam in 2009, and was a European champion at club level with Leinster on three occasions. He was shortlisted for World Rugby’s Player of the Year award in 2009 and ’16, and toured with the British and Irish Lions in 2009 and ’13.